Peanut butter is one of those foodstuffs that we regularly eat but don’t really think about. However, peanut butter is actually more than just some tasty foodstuff. Compared to most confectioneries, they are actually quite versatile and more importantly, they are very easy to make. So if you would like to know more about peanut butter then here’s some information to help you get started. Peanut butter is actually a good alternative to most of the types of junk food kids are exposed to at school. This isn’t exactly a secret but it bears repeating nonetheless. Peanut butter sandwiches make great school lunches for young children, thanks to their taste, their nutrients, and their simplicity. Peanut butter is usually associated with sandwiches, but contrary to popular perception, it can also be paired with other foodstuffs. Pastries, cakes and even pies can be complimented with peanut butter. Furthermore, peanut butter can also be combined with jams, honey and various types of syrups to create something truly sweet. So there are a lot of ways that you can use peanut butter, which is one of the reasons why it’s so popular. Peanut butter contains a variety of nutrients, including vitamin E, magnesium, potassium and vitamin B6. So if you want to eat something sweet that has plenty of nutrients then peanut butter is one of the best choices around. Although peanut butter is primarily a pleasure food that you should eat in moderation, it does have a few health benefits as well. Aside from the nutrients mentioned above, it can also prevent heart ailments, diabetes, and other health problems. Finally, it’s worth mentioning that peanut butter is very easy to make. As long as you have peanuts, a food processor, and some common household kitchen items, you’ll be able to create your own in no time, and that is exactly what you’ll learn next. In addition, peanut butter will be more delicious and beautiful when combined with peanut butter and Nutella. This will be a very new and very simple recipe for a great dessert. Nutella makes everything better, and these tasty treats are no exception. 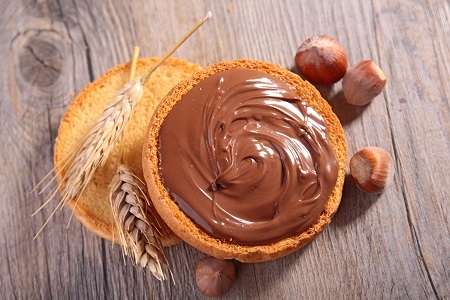 Click here to discover how to melt nutella to make meals more delicious and nutritious. Now, that we’ve talked a bit about the benefits of peanut butter let’s discuss how it is created. The process starts by rinsing and drying the nuts. You may also roast them if you want to improve their texture, but that isn’t really necessary. Next, you will need to grind the nuts, preferably in a food processor until they look creamy. You will then need to transfer the mixture into a bowl and beat it until it’s even creamier. Finally, you will need to add the salt and whatever sweetener into a mixture. You will then need to beat the whole mixture again to combine the peanut butter with the other ingredients. After you’re finished, transfer the whole thing into a jar, and seal it tightly. Put this peanut butter into your refrigerator and let it sit there for one to two days then serve. Now, it’s important to point out that the process above only involves the most basic steps in making peanut butter. If you want to modify the taste and texture of your peanut butter then you will need to carry out other steps and use additional ingredients. Finally, if you’ve never made your own peanut butter before then you should take things slow. Most first time attempts at creating peanut butter don’t always succeed. The final product either tastes too sweet, too thick or too bland. Should this happen to you, don’t be discouraged. It takes a time to create quality peanut butter. 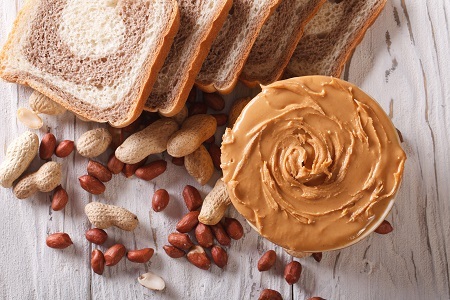 In terms of quantity, a single bottle of peanut butter usually requires 2 cups of peanuts, half a teaspoon of sugar, one and a half teaspoons peanut oil, one and a half teaspoons of molasses and just a pinch of salt. Other peanut butter recipes will replace the molasses with either honey or brown sugar, while healthier variants use natural sweeteners. Also, there are peanut butter recipes that have flavorings. One good example is Nutella peanut butter, which, as you might guess, combines the traditional peanut butter recipe with Nutella. Other peanut butter ingredients include cinnamon, raisins, vanilla, yogurt, milk, cookie dough and many others. One word of caution though. These ingredients are only optional. You don’t actually need them to create peanut butter. All they do is change the taste or texture of the final product. Finally, it’s worth mentioning that peanut butter may not mix well with certain ingredients. So if you want to combine your peanut butter with some new ingredients, do so cautiously. 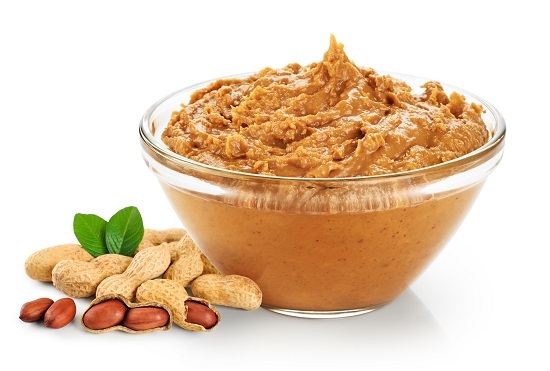 Creating peanut butter may be a simple process but carelessly adding a new ingredient or two can ruin the whole thing. Creating simple peanut butter is easy. Dealing with problems in the cooking process is not. Here are a few common problems that people encounter when they try to make their own peanut butter. If this happens to your peanut butter then it’s because you haven’t given it enough time at the blender. So the solution is really simple: Just let the blender go a little longer, maybe around five to ten minutes more. If it still doesn’t work, try using another processor until you get the texture you like. If the peanut butter tastes funny then there’s probably something wrong with the nuts themselves, in which case, you should try a different batch. Another reason is that the nuts haven’t been roasted, which is why you may want to roast your nuts before you put them in your processor. This happens whenever people add water to their peanut butter recipe to make it creamier. The solution to this problem is simple: Don’t use too much water. A thimble or two should be enough to give your peanut butter recipe the creamy texture you prefer. Hi there! I’m Lita, voice of Quick Easy Cook and I’m absolutely in love with cooking blogs. I’m a beginner in cooking and i try my best to make it quick and easy. Even though, it’s not always quick and easy to keep up with fancy dinners… so i keep learning and blogging about quick and easy ways to create delicious and yummy foods for my two kids and a wonderful husband.